Albany, N.Y. – The New York State Museum will open The Historic Woodstock Art Colony: The Arthur A. Anderson Collection on November 10. On display through December 31, 2019, the exhibition features over 100 artworks – including paintings, lithographs, sculpture and works on paper – from the major collection of artwork of the historic Woodstock Art Colony that collector Arthur A. Anderson donated to the State Museum in 2017. This exhibition introduces to the public for the first time just a sample of the highlights of this extraordinary collection, which represents a body of work that together shaped art and culture in New York and forms a history of national and international significance. 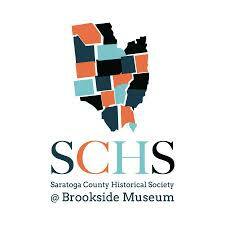 Ballston Spa, NY (Oct. 24, 2018) - The Saratoga County Historical Society at Brookside Museum has added a “Digital Docent” (SEO with Artificial Intelligence) to boost website visitor engagement. It was designed to make history and art more accessible to local residents and visitors by acting as a real-time guide when they are looking at online images. The digital equivalent of a brick-and-mortar museum docent, the Digital Docent uses Artificial Intelligence and Machine Learning to know the entire Brookside Museum collection, and then make real-time recommendations that match visitor interests. Saratoga Springs, NY — The Frances Young Tang Teaching Museum and Art Gallery at Skidmore College is proud to announce a two-day 3-D Doings Symposium on October 25-26 in conjunction with the acclaimed exhibition 3-D Doings: The Imagist Object in Chicago Art, 1964–1980. 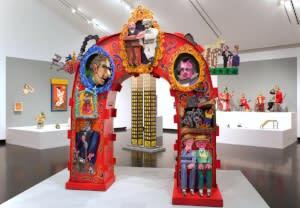 3-D Doings: The Imagist Object in Chicago Art, 1964–1980, which opened September 8 and runs through January 6, 2019, is the first in-depth exploration of the little-known sculptural work and dimensional painting made by the Chicago Imagists during the early years of their practice. Latham, N.Y. (August 24, 2018) –The Friends of Pruyn House will celebrate our 35th anniversary this year! Come join us for our annual “Old Fashioned Sunday” at the Pruyn House, 207 Old Niskayuna Rd., Latham NY, on Sunday September 9th from 12 noon to 4pm. The public is invited to this FREE event which will be held rain or shine. 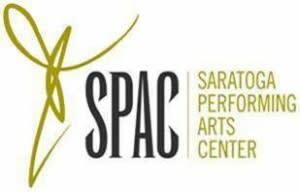 Saratoga Springs, NY (August 23, 2018) — The Frances Young Tang Teaching Museum and Art Gallery at Skidmore College invites the public to the final concert of the 2018 Upbeat on the Roof concert season, at 7 pm Thursday, August 30, with the Arthur Brooks Ensemble V.
The Arthur Brooks Ensemble V is an improvisational jazz group led by musician, composer, trumpeter/flugelhornist Arthur Brooks. 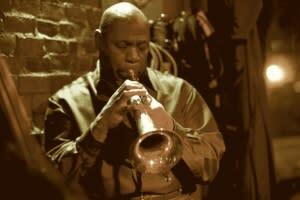 Founded at Bennington College in 1973, its current members are recognized professionals who have performed nationally and internationally. Saratoga Springs, N.Y. (August 22, 2018) — The Frances Young Tang Teaching Museum and Art Gallery at Skidmore College announces its fall exhibitions and events. From the groundbreaking work of the Chicago Imagists to the latest by artist, musician, and writer Tim Davis, the Tang’s fall programming features influential artists and artworks, talks on today’s most urgent issues, screenings of experimental films, tours, dance, concerts, and more. 3-D Doings: The Imagist Object in Chicago Art, 1964–198, the first exhibition devoted to the three-dimensional work of the Chicago Imagists. Albany, N.Y. – The Karner Kids Film Festival will take place on Wednesday August 29, 2018 at 6:30pm at the Albany Pine Bush Discover Center. “Join us to see some amazingly creative Pine Bush films made by young people,” said Education Program Manager, Sara Poggi-Decker. The Karner Kids Film Festival features Pine Bush-themed films made by kids ages 10-17. The films are original creations of 5 minutes or less and all feature the Pine Bush.